I know all of you teachers out there have felt like this at one point or another... I am SO over standardized testing!! 2nd and 4th graders in our school took the Iowa's all last week, and we are now taking the COGAT's this week. Not only are our fab fourthies worn out, but so are their fab teachers!! aaaaaaahhhh! If I have to read "Please open your test booklet to page 25. Please read the directions along with me as I read them aloud. They say:" one more timeeeee..!! I just have to keep telling myself **two more days, two more days! Now I know, sometimes testing can be nice because you have time to grade and plan, but I want time to TEACH! Our mornings have been completely taken up, and with specials in the afternoon, and lots of other extra things, that leaves us very little time with each of our groups. Every year they turn out grade and I LOVE seeing all of the new things students come up with! Click on the picture to download this unit for only $1.50. Also, for being such loyal followers, the first 2 people to comment on this post will receive this unit for free :) Just leave me some love and include your email please! I LOVE reading all your comments! So far this is going really well. The students LOVE their books, and I can work with students on strategies at their level. Which works SO much better than our basal! I am working on creating comprehension packs for each of these novels that covers all of the common core literature standards, and a non-fiction pack as well. I hope to have these up in a week or so! 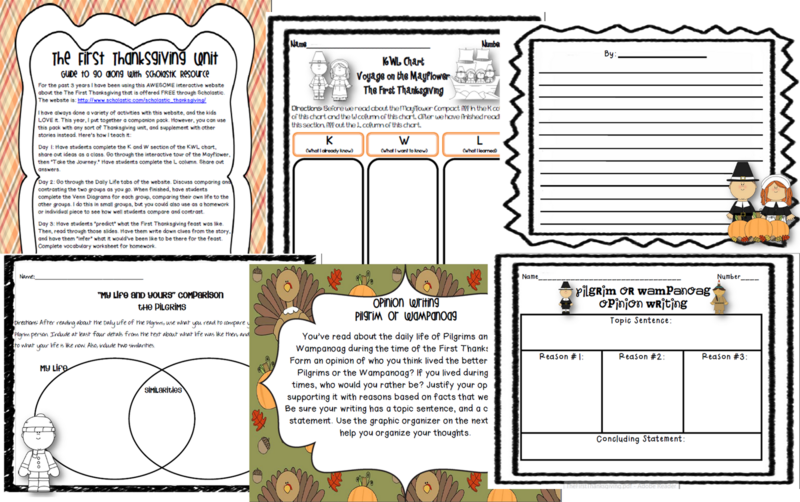 You can download my graphic organizer for main idea and summarizing non-fiction texts here. Before I leave you I have to show you the yummy cookies I made for our staff Thanksgiving today. That's all for now! Thanks for reading, folks :) Remember to comment to receive your Thanksgiving pack for free! I would also love the Thanksgiving unit! Your blog is amazing! Learning assets gave ought to without a UNIVERSITY MURANGA doubt be in the classroom, not simply in the library. Learning assets can be merchandise alluded to printable materials, sound chronicle, and recordings. I really thank you for the valuable info on this great subject and look forward to more great posts. Thanks a lot for enjoying this beauty article with me. happy public school I am appreciating it very much! Looking forward to another great article. Good luck to the author! All the best!